One of our purposes in going to Colombia next week is to lead some of our missionaries in a Prayer Retreat. I will be in charge of leading the worship and leading the Bible study with the adults. Whenever I have the opportunity to share with missionaries serving on the field, I am always faced with the dilemma of what I should speak about. I have been praying about this retreat for quite some time now, and I think that I have come up with a topic that will speak to their hearts. 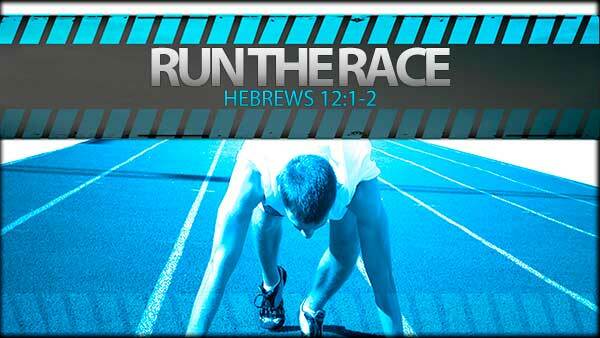 I am going to be speaking about how we should be running the Race that God has set before us. In Hebrews 12:1-2, the author reveals that we should run the Race with fellowship, with freedom, with endurance, with purpose, and with joy. When the author of Hebrews says that we are “surrounded by a great cloud of witnesses,” I have always wondered what exactly that has meant. I believe that the author was referring back to chapter 11 where he described those that have persevered and eventually died for the cause of Christ. Is this allusion to them meant to say that in light of what they have done, we should run the Race, or is it meant to say that they are actively watching us even now? Have those that have preceded us in death the ability to see us and intercede for us? The picture that the author gives us is one of a huge stadium filled with fans cheering on those that are running on the track below. For me this is a great encouragement to know that I am being cheered on and maybe even prayed for by those who have already fallen asleep in Christ. On the other hand, it makes me wonder what those who are watching are thinking when I am stumbling along or not even running. It gives me accountability to keep up the fight – to keep pushing even when I don’t feel like running. Please be in prayer for me as I share with these wonderful people the power of God’s word. Pray that they will be encouraged and pressed to continue on with the difficult Race that God has set before them.